To paraphrase former President Bill Clinton, "We feel your pain." Every month, we receive thousands of emails from kids desperate for cash. We know money can be a huge problem - there's always a lot more things to buy than money to buy them with. Don't despair. Allowance Magic can help. The idea behind it is to give you more control over the money your parents are spending on you. Now, it's no free ride. With control comes responsibility. Once you're on the Allowance Magic program, your parents would give you a set amount of money on a regular basis and you would have responsibility for many of your own expenses. Sound intriguing? Check out the following pages and, if it still sounds good to you, key in your parents to Allowance Magic. There's no getting past it. 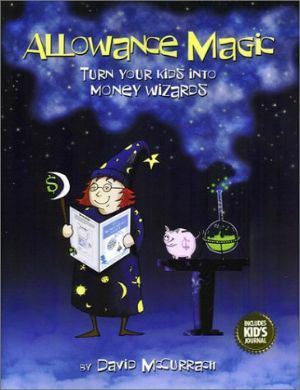 Allowance Magic is going to be more work for you than for your parents. These pages help you prepare and persist.